- To build and develop Lam Dong province region till 2035 and vision till 2050 to become a motive economic region of the Central Highlands region, with a synchronous and modern infrastructure system. - To be a national and international high-tech agricultural research and production center, to develop the mineral exploitation and processing industry. - To develop eco-tourism, convalescence tourism, agricultural tourism and cultural-heritage tourism and scenic spots of national and international scale. - Developing the urban - rural system towards green growth, feasible and in line with the trend of integration, ready to respond to climate change. To develop urban spaces, green urban villages, tourist spaces and agricultural production spaces in harmony with typical forest landscape spaces and biodiversity preservation spaces of the highland areas. - Developing the national education, training and scientific research system, serving as a basis for training high-quality human resources of the whole region. - Defense and security are guaranteed. Scope of planning: The whole province of Lam Dong, natural area of ​​9,783.34 km2 includes 12 administrative units: Da Lat city, Bao Loc city and 10 districts (Lac Duong, Don Duong, Duc Trong and Lam Ha, Dam Rong, Di Linh, Bao Lam, Da Huoai, Da Teh and Cat Tien). - As a dynamic economic region of the South Central Highlands; landscape conservation forest areas, water resources and biodiversity of the Central Highlands, Southeast and national regions; protecting the watershed of Dong Nai, Sesepok, Luy and Cai Phan Rang rivers. - A special area for specialized agriculture; Center for research and production of high-tech agriculture is national and international; center of agricultural, forestry and mineral processing industry; service centers - high-class eco-tourism, convalescence, agricultural tourism and cultural-heritage tourism, national and international beauty spots; national multi-disciplinary education and training center, scientific research and technology transfer; national nuclear and biological research center; international level health care center. - International trade hub of the region and the country; located between 3 national key economic regions: the Central Highlands, Ho Chi Minh City region and the South Central Coast region; an important road traffic hub of the South Central Highlands. - The region has an important position in national defense and security for the Central Highlands and the whole country. - By 2025: the province's population is about 1,430,000 - 1,450,000 people, the urbanization rate is about 54%. - By 2035: the province's population is about 1,660,000 - 1,680,000 people, the urbanization rate is about 58.8%. - By 2050: the province's population is about 2,240,000 - 2,250,000 people, the urbanization rate is about 62.6%. - Urban construction land: by 2025 about 14,000-16,000 ha; by 2035 about 18,000-20,000 ha, and by 2050 about 22,000-25,000 ha. - Land for tourism exploitation will be about 8,000 - 10,000 ha by 2025 and around 12,000 - 15,000 ha by 2035. - Land for construction of rural residential areas: around 9,000 - 9,500 ha by 2025 and around 9,500 - 10,000 ha by 2035. + Scope and nature: Da Lat city and its vicinity is a dynamic economic development area of ​​the province including Da Lat city, Lac Duong, Don Duong, Duc Trong and a part of Lam Ha district. Being the administrative, political, economic, cultural, scientific and technical center of Lam Dong province; High-class ecotourism, resort and cultural heritage tourism at national, regional and international levels; National and international high-tech agricultural production research center; National multidisciplinary research, education and training center and technology transfer center; National Center for Landscape Forest and Biodiversity Conservation; Trade and service center, exhibition fair; Regional cultural-art, fitness-sports and entertainment centers; has an important position in national defense and security for the Central Highlands and the whole country. In which, Da Lat city is the central urban area of ​​Lam Dong province, the national tourist center, the specialized center for research and training at the Central Highlands and national level. + Development orientation: To develop Da Lat city and its vicinities according to the model of associated urban centers along the belt and radial routes; connecting with eco-tourism areas, forest landscape and agricultural landscapes; Sustainable Development; preserve and promote the natural and cultural - historical characteristics. + Scope and nature: is an ecological buffer zone including Di Linh, Dam Rong and Lam Ha districts in the West. Di Linh town is the center of the sub-region. + Development orientation: Developing urban areas along Highway 20 and north of Highway 27, nuclear is Di Linh town. Developing specialized cultivation areas towards clean agriculture and high-tech agriculture. Developing trade and services in Di Linh, Dinh Van, Da Rsal townships, industrial clusters, traditional trade villages, forest ecotourism, nursing tourism. + Scope and nature: is an economic driving force in the southwest of Lam Dong province including Bao Loc city, Bao Lam, Da Huoai, Da Teh and Cat Tien districts. In which Bao Loc city and the surrounding area are the center of the southern sub-region of the province, developing close to the standards of grade-I urban centers. + Development orientation: To develop Bao Loc urban center and its vicinity on the national highway 20, national highway 55 and western urban center on highway 20 and provincial road 721. To develop mainly light industry (processing agricultural, textile, silk, auxiliary industry, mining and processing products after mining). Development of trade in services, resort tourism, health care services, forest ecotourism. Areas specializing in farming in the direction of clean agriculture, high-tech agriculture (tea, coffee, mulberry, fruit trees, rice, medicinal plants), linking production with the processing industry and post-harvest preservation. Biodiversity conservation in Cat Tien National Park, the northern biodiversity corridor of the sub-region. + Axis of national economic corridor of national highway 20 and Dau Giay highway - Da Lat. + The axis of national economic corridor of national highway 27. + Provincial road corridor 721 (expected to upgrade to a national highway, connecting from Binh Thuan - Lam Dong - Binh Phuoc). + Urban - industrial area of ​​Da Lat city and its vicinity. + Bao Loc city - urban and industrial areas. + Di Linh urban area. + Urban route along highway 27. + Da Huoai - Da Teh - Cat Tien urban route. + By 2025: the province has 19 cities; in which 01 grade I urban area (Da Lat city), 01 grade-II urban center (Bao Loc city), 06 grade-IV urban centers (Duc Trong, Thanh My, Dinh Van, Di Linh, Loc Thang, Madagoi) and 11 grade V cities (Lac Duong, D'ran, Bang Lang, Da Rsal, Nam Ban, Loc An, Hoa Ninh, Da Mri, Da Teh, Cat Tien and Phuoc Cat). + 2035: The whole province has 19 urban centers, of which one is grade I (Da Lat city), one is grade II (Bao Loc city), two urban centers are grade III (Duc Trong and Di Linh urban centers). ), 06 grade IV cities (Thanh My, Dinh Van, Nam Ban, Loc Thang, Madagoi, Da Teh), 9 grade V urban centers (Lac Duong, D'ran, Bang Lang, Da Rsal, Loc An and Hoa Ninh) , Da Mri, Cat Tien, Phuoc Cat). Developing 02 townships meeting the standards of grade V urban areas (Loc Phu, Bao Lam and Tan Ha districts, Lam Ha district). 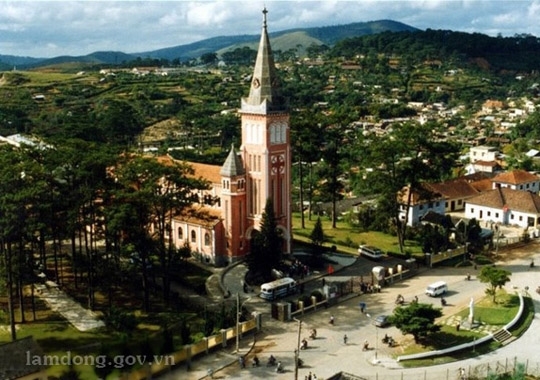 + The central urban area of ​​the province: Da Lat city is a grade-I urban center, meeting the criteria of the centrally-run city, an important growth pole of the South Central Highlands economic region.
. Bao Loc city is a nuclear urban area in the south of Lam Dong province. Mixed Service - Trade Center; National Culture and Sports Center; Agricultural center specializing in high technology; Tourism Center at regional and national levels; Regional health and education - training centers; regional and national resorts and health care centers; Supporting industrial center; processing agricultural products of the region; pharmaceutical processing; deep processing industry of products from mining.
. Di Linh City is the political and administrative center of Di Linh district. Trade and service center at regional level, goods transshipment in the province and the Central Highlands and South Central Coast. + Urban areas by general functions: include Duc Trong, Lac Duong, Thanh My, Dinh Van, Loc Thang, Madag Ngoi, Da Teh, Cat Tien and Bang Lang districts. In which Duc Trong urban is an international trade gateway of the region and the country; high-tech agricultural research and production center of national and international level; regional pharmaceutical and cosmetic industry center. + Specialized urban areas and new urban centers at district level: Nam Ban, D’ran, Da Mri, Hoa Ninh and Phuoc Cat and Da Rsal urban centers. - Developing rural population according to the new rural model, ensuring to meet the criteria set by the national criteria for new rural communes in the 2016-2020 period, promulgated by the Prime Minister. Promoting specific strengths of each region to develop different rural economic models of each district, city and region. - Construction of a new rural residential area modeled according to the new rural model commune criteria for the period of 2018 - 2020 issued by the Prime Minister. There are higher criteria than the newly recognized rural standard residential area. - Develop and pilot the model of green urban village based on the relationship between conservation and development; preserving, inheriting and promoting traditional cultural values. High-tech agricultural production is in the direction of green growth, associated with the development of agricultural tourism model towards sustainable agriculture. The model of commodity production spreads, linking household production facilities in the residential areas of the village, to a new model of cooperatives. - Developing industries with comparative advantages, competitive advantages in the province, exploiting natural resources and human resources, building key commodity groups. Towards producing branded products, participating in export chains and supply chains of the Central Highlands, regional and international regions. - Prioritizing the industries of environment, high-tech industry, green and clean industries and consuming less energy, supporting industries and industries and handicrafts to serve the tourism and agricultural industries. High technology, bringing added value and sustainable development. - Development of deep processing industry, biotechnology, food preservation technology, especially based on 2 priority groups of industries of processing agricultural products and processing alcohol and fruit juice with a level high technology, exploiting the advantages of available raw materials, contributing to promoting the development of local agriculture. + Duc Trong - Di Linh industrial zone: Industry of processing agricultural, forest products, beverages, chemicals and pharmaceuticals; high-tech and electronic industries; textile and footwear, consumer goods. To develop into a major pharmaceutical and cosmetic production center of the country. + Bao Loc - Bao Lam industrial zone: processing industry of agricultural and forest products, exploiting and processing deep products after mining, textile and construction materials. Orientation of Bao Loc city is a national center of fashion silk, integrating with fashion in the region and the world. + Da Lat industrial zone: Phat Chi and Ka Do industrial complexes, mainly industrial processing of agricultural products and beverages (special products of Da Lat, wine - typical fruit juice), consumer goods. To develop tourism in the overall planning on tourism development in the Central Highlands and strengthen links with Ho Chi Minh City, South Central Coast and other potential regions throughout the country. Developing tourism towards professionalism, focus, focus, brand recognition and competitiveness. To build Da Lat city into a high-quality tourist center, national and international. Towards smart tourism development, is one of the pillars to bring tourism into a key economic sector in depth and width, which is an inevitable trend in the context of technology revolution 4.0 worldwide. , contributing to the sustainable economic development of Lam Dong and the Central Highlands. - National - international tourist center: including Da Lat city, Lac Duong district, a part of Duc Trong, Don Duong and Lam Ha districts. In which, the key area is Da Lat city with 2 national epidemic zones: Tuyen Lam and Dan kia - Suoi Vang. + Duc Trong tourist cluster. + Bao Loc - Di Linh tourist cluster. + Da Huoai - Cat Tien tourist cluster.
. High-class entertainment and tourism.
. Tourist visiting, organizing conferences and seminars.
. Tourism events - festivals, spiritual tourism. + Local tourism: The tourist route comes from Da Lat city to Bao Loc city and the districts and tourist routes stem from Bao Loc city and districts in the province. + Tourism in the domestic region: The Central Highlands - South Central Coast - Ho Chi Minh City area - Mekong River Delta - Northern provinces. Develop the agricultural sector in a multidisciplinary approach. Lam Dong is a high-tech agricultural research and production center of the whole country; high value agricultural commodity production areas in the international market. The focus is on 04 goals: (i) Building a number one brand in Vietnam, (ii) Building a number one Southeast Asia vegetable production cluster, (iii) Building Vietnam's number one agricultural tourism destination Male, (iv) Establishment of key human resource training and agricultural research center in the Central Highlands. Form high-tech agricultural zones, high-tech agricultural production areas, associated with the development of flower villages, traditional craft villages, building green urban villages and developing agricultural tourism models. .
+ Vegetable and flower growing areas in Da Lat, Don Duong, Duc Trong, Lac Duong, Lam Ha, producing high quality food mushrooms and medicinal mushrooms. Rice growing areas in Cat Tien, Da Teh and Lam Ha. + Tea-growing areas in Bao Lam, Bao Loc, Di Linh, Da Huoai, Da Lat, Lam Ha and Da Teh. Coffee-growing areas: Robusta coffee in Di Linh, Bao Lam, Lam Ha, Duc Trong, Bao Loc, tea coffee in Lac Duong, Dam Rong, Lam Ha, Da Lat, high-tech coffee growing areas. Planting macadamia trees in Di Linh, Lam Ha, Bao Lam, Duc Trong, Don Duong, Dam Rong and Bao Loc. + Fruit growing areas in Bao Lam, Da Huoai, Don Duong, Duc Trong and Di Linh. The specialized area for mulberry cultivation in Lam Ha, Cat Tien, Da Teh, and Bao Loc city. + To develop concentrated husbandry according to industrial farm models, with dairy cows concentrated in Don Duong, Duc Trong, Lam Ha, Di Linh, Bao Lam and Bao Loc; beef cattle in Dam Rong, Lam Ha, Don Duong, Duc Trong, Di Linh, Bao Lam, Da Huoai, Da Teh, Cat Tien and Bao Loc. Pig raising in Dam Rong, Lam Ha, Don Duong, Duc Trong, Di Linh, Bao Lam, Da Huoai, Da Teh, Cat Tien, Da Lat, Bao Loc. Encourage the establishment of specialized hatcheries. + Breeding poultry on a farm scale, discouraging the development of waterfowl flocks; concentrated in Lam Ha, Bao Lam, Dam Rong, Duc Trong, Don Duong, Di Linh, Da Huoai, Da Teh and Cat Tien. + To develop areas for growing green forage for dairy cattle and beef cattle in Don Duong, Duc Trong, Lam Ha, Di Linh, Bao Lam, Dam Rong, Da Huoai, Da Teh, Cat Tien and Bao Loc. - Forestry development area: strictly implementing the policy of closing and stopping the exploitation of natural forests. Protection of existing special-use forests, concentrated in Bidoup - Nui Ba National Park, Cat Tien National Park. Protection of protection forests, especially watershed protection forests, Dong Nai and Seepok river basins, concentrated in Lac Duong, Dam Rong, Da Lat, Don Duong and Duc Trong. Protecting and developing production forests, mostly paper material forests, concentrating in Di Linh, Bao Lam, Dam Rong, Da Teh, Da Huoai, Don Duong, Lac Duong, ensuring ecological environment sustainability. improve economic efficiency in forestry production. Developing material bamboo growing areas in Da Teh, Da Huoai, Dam Rong, Bao Lam and Di Linh, supplying the processing industry, in line with the trend of world integration. Linking production plantation with fine processing, serving domestic and export consumption, construction forestry companies and sustainable forest management for certification of forest management (FSC). - Aquatic areas: To develop aquaculture, associated with processing and consumption, with a focus on cold water fish, including salmon in Lac Duong and Dam Rong districts, Da Lat city; Sturgeon in Lac Duong, Duc Trong, Don Duong, Lam Ha, Di Linh and Bao Lam districts, Da Lat and Bao Loc cities. In the first phase, implementing cold-water fish farming projects in combination with tourism in Dak Long Thuong Lake (Bao Lam), raising freshwater fish in Loc Thanh and Mai Thanh lakes (Bao Loc). - Regional and national education and training centers in Da Lat city and its vicinity: including Yersin University of Dalat, Dalat University, Ho Chi Minh City University of Architecture (based at Dalat, Army Academy, ... Building an international university village in Lac Duong district. - Regional education and training center in Bao Loc city: Ton Duc Thang university and Nguyen Tat Thanh university (Bao Loc campus). - High-tech agricultural education and biotechnology education center in Don Duong and Duc Trong districts. - To build an international general hospital and a high-class nursing center mainly in Bao Loc and a regional general and specialized hospital in Thanh My. Upgrade Lam Dong General Hospital into a modern hospital, capable of serving the whole Central Highlands. - Establish a Center for High-tech Medical Diagnosis, Center for Nuclear Medicine and Radiation in the Central Highlands in Bao Loc City. - To build a new cultural and art center, a new national-level physical training and sport training center in Da Lat city, a provincial cultural and physical training and sport center and a sports and physical training park of grade area in Da Lat city, Bao Loc city and Duc Trong city. - Construction of stadiums in Bao Loc city to meet the standards of regional competitions in the Central Highlands and the Sports Complex in Bao Loc city. - To form regional-level high-class and mixed-development trade centers in Da Lat city (Hoa Binh commercial center) and Bao Loc city (trade center in Bao Loc old market and new urban center). , B'lao trade center), Dankia - Da Lat high-end commercial area, the non-tariff exhibition and service center in Duc Trong town, trade centers (Lien regional trade center) Nghia - Lien Khuong), trade fair and exhibition center in Da Lat city, Bao Loc city, logistics center in Bao Loc city. - Construction of provincial trade centers in Madagoi town, Di Linh town, Nam Ban town (Lam Ha district). Building wholesale markets for agricultural products in Bao Loc, Duc Trong, Di Linh, vegetable and agricultural markets in Don Duong; Market - Flower trading center in Da Lat city. - Regional-level research centers: To form a centralized information technology park in Lam Dong province (Da Sar commune, Da Nhim commune, Lac Duong district); Center for research, development and conservation of flower and ornamental plants in Da Lat city; Da Lat high-tech biotechnology and agricultural zone (Da Sar commune, Lac Duong district). - To synchronously develop the infrastructure system to meet regional integration requirements, to ensure the province's socio-economic development needs till 2035, with a vision to 2050 and ensuring national security and defense. - Developing a synchronous and modern transport system, ensuring convenient connection with key economic regions. In which, priority should be given to the development of external transport systems, traffic axes connecting economic zones and urban transport systems. - Complete water supply and drainage system to ensure the demand for living and production and adapt to climate change. - To form solid waste treatment zones with modern and appropriate technologies, ensuring a green and sustainable growth trend. Prohibit construction in special use forest area of ​​Lang Biang Biosphere Reserve, Cat Tien National Park, watershed protection forest, protection corridor area along Krong No river, Dong Nai, Da Nhim, Da Power plants and reservoirs to protect biodiversity and water resources. Restriction of construction in riverside areas is at risk of landslides and unstable ground. + The altitude of controlling the construction ground of urban centers must not be flooded, retain the natural landscape, limit the digging and digging and creating good drainage terrain for the city. + Local ground leveling follows the natural topography to limit the volume of earthwork, breaking the terrain. Low-lying areas in Cat Tien, Da Teh and Da Huoai districts. Leveling solution for this area is local leveling for existing construction areas, leveling and concentration in new construction areas. + For existing urban areas, there is a common drainage network in the central areas. In the future, it is necessary to renovate, upgrade and build sewer systems to collect wastewater leading to treatment stations before discharging into rivers and lakes. + New construction areas with high density, city areas and industrial zones need to build separate drainage systems. Rain water is drained directly into canals, wastewater is collected to treatment station to ensure environmental hygiene. + Towns, depending on the actual situation of each locality, have different solutions to identify separate, semi-private or common drainage systems but must also take measures to collect wastewater for treatment before discharge to the environment. + For small residential areas built with low density, it is possible to build a common water drainage system between wastewater and rainwater but waste water must be pre-treated with septic tanks or bio-ponds to ensure quality. water is treated to the prescribed standards; The location of the drainage points after treatment must be kept away from the daily water supply; regularly dredging rivers and canals near the area to drain water. + For rural residential areas with low terrain, it is necessary to respect the flood proof base but mainly to level up the construction area. For areas with high terrain without being flooded, leveling and creating slope drainage direction and on-site earthworks balance. + Building a common water drainage system; without filling rivers and streams, low-lying areas, it is necessary to create water reservoirs in the flood season and fight drought in the dry season. + Embanking areas that frequently slide on roads, the location of river sections has been eroded. + Embankment of anti-slip and rolling slope slopes when leveling urban construction sites and residential areas and traffic roads. + Propagate and warn people in high-risk areas about mud, landslides, flash floods in stream branches. + Strengthen management and planting of watershed forests to prevent erosion and flash floods, improve bare land and bare hills, increase coverage of watershed protection forests. 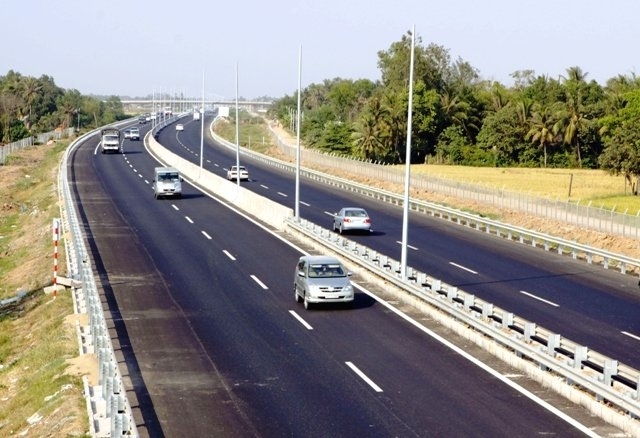 - Roads: Follow the Adjustment of the planning for development of road transport in Vietnam to 2020, orientation to 2030 approved by the Prime Minister in Decision No. 356 / QD-TTg dated February 25 2013. + Expressway: Dau Giay - Da Lat highway with a length of 209 km; The section running through Lam Dong province has a length of 139.2 km, and a highway of 4 lanes; intersections with provincial road 721 (at Da Hoai); Dam B'ri (Bao Loc); Highway 55 (Bao Loc); National Highway 28 (Di Linh); Tan Hoi (Duc Trong); Highway 27 (Duc Trong). + National highway: To continue investing, upgrading and perfecting routes: national highways 20, national highway 27, national highway 28 and national highway 55. + Provincial roads: Renovating and upgrading provincial roads 721, provincial roads 722, provincial roads 724, provincial roads 726, provincial roads 727, provincial roads 728 and provincial roads 729.
. Proposing to upgrade the entire provincial road 725, in combination with opening a number of sections of the QL city. Shandong school connects from provincial road 721 (at Da Teh), national highway 55, national highway 28, and highway 27, and opens a new section passing Lam Ha from National Highway 27 to Nam Ban town, to coincide with the west bypass. Dalat city, connected with Truong Son Dong road. Scale from level IV to mountain level III.
. Upgrade and build new urban transport system according to approved planning projects. In particular, to prioritize investment in building roads avoiding national highways through urban centers and urban belt roads to limit external traffic going through urban centers, ensuring traffic safety. To invest in upgrading the urban traffic system of Da Lat city and Bao Loc city in sync with other technical infrastructure works to form a rational and complete urban infrastructure; land fund for urban road traffic infrastructure construction reaches 20% - 26% compared to construction land in urban areas. + National railway: Restoring Thap Cham railway - Da Lat, 84 km in length. + Urban railway: Da Lat city has planned 6 urban railway lines by Monorail to serve tourist routes in Da Lat city with a total length of 89.63 km. + National Road 27 will be a branch in a tourist route from Thailand to Laos and Vietnam at Bo Y border gate in Kon Tum province. From Kon Tum to Dak Lak (via highway 14), go to Da Lat (via Highway 27) and arrive in Nha Trang. + Developing international tourist routes from Moeriri (Cambodia) - Gia Nghia (Dak Nong) along National Highway 28 to Di Linh (Lam Dong) and Phan Thiet (Binh Thuan). - Airway: To comply with the plan for development of air transport transportation in the period up to 2020, orientation to 2030 approved by the Prime Minister in Decision No. 236 / QD-TTg February 23 2018. + Upgrading Lien Khuong airport to meet 4E standard is a domestic airport with international flight activities. + Cam Ly Civil Aviation Military Airport (Da Lat). - Smart traffic: on the basis of intelligent traffic development at the construction project of Da Lat to become a smart city in the period of 2018 - 2025 to replicate the intelligent traffic model in urban areas in the province. - Water sources: Balancing and effectively using surface water sources, especially water sources combining water supply and irrigation. 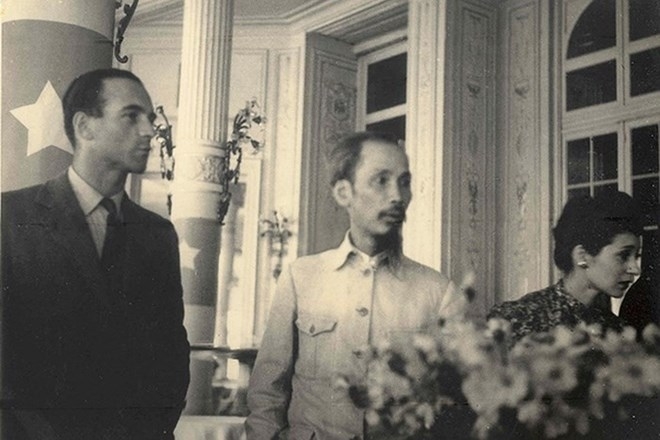 Focus on exploiting surface water of Dong Nai, Srepok and lakes. Limit, proceed to terminate the exploitation of groundwater resources before 2020. - Demand for water: The total demand for water (urban, rural, industrial, tourism) in the whole province by 2025 is about 250,700 m3 / day and night, by 2035 it is about 347,600 m3 / day and night and by 2050 about 450,400 m3 / day. + Limiting and gradually ending the exploitation of additional groundwater resources, prioritizing the exploitation of surface water sources. + Improving the quantity and quality of water for the needs of use, bringing new technologies, gradually replacing the water supply reduction network to improve the efficiency of the existing water supply stations. + Rationally exploit existing water supply works, expand, upgrade and invest in building new works suitable to the development of urban centers in the first phase and orienting for the next stage. + Balance and effectively use surface water sources. Especially water sources that combine water supply and irrigation. To concentrate resources on surface water exploitation of the Dong Nai and Srepok rivers and big lakes in the province. + Managing groundwater exploitation, assessing reserves and strictly managing the problem of exploiting new wells, digging well processes, controlling the exploitation of exploited wells (changing the flow, static water level, quality amount and factors affecting ...). Especially, it is necessary to manage underground water exploitation facilities for both domestic and agricultural purposes. + Construction of new reservoirs (upstream of Dankia lake - Bidoup Nui Ba area and Pren lake) according to planning. + Rural areas adjacent to urban areas depending on the location, scale and condition of the current situation and topography will combine the use of urban water supplies, for scattered areas using the supply system. issued according to the plan of water supply and environmental sanitation by the Department of Agriculture and Rural Development. - Urban water supply: To build a complete water supply system for regional centers and centers of sub-regions and urban centers of grade IV or higher; ensure 100% of the population use clean water to meet hygiene standards. + Da Lat city: by 2050, to raise the water supply capacity of Dan Kia water plant to 80,000 m3 / day and Tuyen Lam lake water plant with an expected capacity of 20,000 m3 / day. It is expected that the surface water source for daily life of the city will be transferred raw water from the newly built reservoir area in Bidoup - Nui Ba area and upstream area of ​​Dan Kia lake. + Bao Loc city: by 2050, the expected use capacity is 110,000 m3 / day, increasing the capacity of Nam Phuong lake water supply plant to 110,000 m3 / day; build more water plant in Loc Thanh and Mai Mai lakes in Loc Tien commune. Surface water from Da Brium river system through Loc Thang reservoirs (Bao Lam district), Nam Phuong; terminate the exploitation of underground water sources before 2020. + Duc Trong urban area: To build a water plant in Da Dang river system and large lakes in the surrounding area, with a capacity of 100,000 m3 / day by 2050. Surface water sources from Da Dang river system, Da Nhim river and Tuyen Lam and Don Duong reservoirs. + Upgrading and building new water plants in urban areas. + For concentrated population areas (commune centers): Continuing to use water supply works under the province's rural clean water program. The area near the town's surface water plants can be directly connected to the town's water supply pipes. + For dispersed residential areas: The area has abundant groundwater resources, good reserves using deep groundwater resources (100-150 m) with hand pump combined with water containing rainwater. To supply water with tanks and cisterns containing household-sized rainwater in difficult places or unable to exploit groundwater and surface water. - Water supply for industrial parks: Industrial parks and industrial clusters associated with favorable surface water sources shall build water supply plants for industrial parks; while industrial parks and industrial clusters are not favorable to surface water sources, in the first stage, when there is no urban water supply system, drilling of underground water will be conducted; When an urban water supply system is available, it will connect water from urban water supply systems and stop underground water exploitation. - The total electricity capacity required by the province by 2025 is about 754.34 MW, in 2035 about 1,083.9 MW. - Power source: The main electricity source for Lam Dong province is the national electricity grid through 220 kV and 110 kV transformer and transformer stations. On-site power source is Da Nhim power plant. - Power grid: Construction and operation of hydropower plants Krong No, Yan Tanh Sienn, Da Nhim Thuong, ... Raising the capacity of 500/220 kV Di Linh, 220/110 kV Duc Trong, Bao Loc, Da Nhim. Construction of 220/110 kV Duc Trong station. Upgrade existing 110/22 kV stations. - Other energy: developing renewable energy sources such as solar energy, wind energy, biogas. Construction of wind power plants in Duc Trong, Di Linh and Lam Ha districts. + Waste water flow of urban centers, industrial parks and clusters of the whole province by 2025 is about 136,100 m3 / day and night, in 2035, about 206,500 m3 / day and night and by 2050, around 265,000 m3 / day and night. + For urban areas using common sewer systems (rain water and daily-life waste water): To build a half-common water drainage system (with sluice gates separating waste water and wastewater treatment stations), to build to build separating manholes to collect waste water into the wastewater treatment area. + To build separate sewage and rainwater drainage systems, with a concentrated waste water treatment station for new construction areas. + Daily-life waste water in urban centers must be treated up to current standards before exiting into the area's drainage system. + Daily-life waste water in urban centers is expected to be developed, small-scale population clusters will be treated by self-cleaning methods at biological lakes. + Wastewater of industrial parks and clusters: Construct a separate wastewater system (separate rainwater), build a wastewater treatment station for concentrated industrial parks to collect each project. Waste water in concentrated industrial parks must be treated to reach grade A of QCVN40-2011 / BTNMT, ... before being discharged into the source. Wastewater from factories and factories with high levels of toxicity needs to be pre-treated to allow standards before centralized treatment. + The amount of domestic waste in urban areas, industrial parks and clusters in the province by 2025 is about 834 tons / day, by 2035 about 1,381 tons / day and by 2050 about 1,894 tons / day. + Provincial-level solid waste treatment area: To build 3 treatment areas, including Xuan Truong treatment area and Da Lat city, receiving a capacity of 200 tons / day; Dai Lao treatment area, Bao Loc city, receiving capacity of 200 tons / day; Tan Thanh processing zone, Duc Trong district, receiving capacity of 180 tons / day. Gradually replace medical solid waste incinerator with microwave sterilization and sterilization system at district health centers. + District-level solid waste treatment area: To build 10 treatment areas with a total area of ​​about 98 ha in Lac Duong town (Lac Duong district); Ka Do commune (Don Duong district); Dinh Van town (Lam Ha district); Ro Men commune (Dam Rong district); Lien Dam commune (Di Linh district); Loc Phu commune (Bao Lam district); Da Kho commune (Da Teh district); Phu My commune (Cat Tien district). It is planned to adjust the plan to handle solid waste of the three southern districts in Da Kho commune (Da Teh district). + Ensure the post-treatment landfill rate of not more than 20% for newly built solid waste treatment facilities. + Cemetery at provincial level: Encouraging the use of cremation in cemeteries.
. Dalat city: cemetery in Xuan Tho commune (about 50 ha, future expansion of about 83 ha) and Ta Nung commune (about 52 ha) serving Da Lat city, Duc Trong town, Don Duong district, Lac Duong district and surrounding cities (with appropriate distance).
. Bao Loc city: To arrange cemeteries in Bao Loc city (about 48 ha in size) to serve Bao Loc city, Di Linh urban center, Bao Lam, Da Teh, Da Huoai and surrounding urban areas. around. + District-level cemeteries: To build separate cemeteries (with a size of about 10-20 ha), mainly in burial places combined with cremation with modern technologies, meeting the demands of population and township inhabitants. towns and communes in the future. + Rural cemeteries: To build cemeteries (about 2 - 5 ha in size) in service of rural population quarters lying near each other (with a radius of less than 3 km). - Implement solutions to protect the environment, limit the adverse impacts on the environment in the process of urban, industrial and tourism development. Identify areas to protect the environment, increase the use of clean energy, renewable energy, limit pollution sources, greenhouse effect emissions and respond to climate change. Assessing the impact, proposing requirements, solutions for environmental protection for bauxite mining industry, alumina processing in Lam Dong province. - Large urban areas and concentrated industrial development areas need to be isolated from residential areas and conservation areas by green corridors. Encourage the development of public transport to minimize traffic pollution. - Strictly preserving biosphere reserves, national parks, nature reserves, species / habitat conservation zones, protection forests to protect water sources and mitigate impacts of climate change. Protection and development of production forests, green corridors along rivers and lakes, ... Limit development activities to change the flow, change the terrain causing unsafe for residential areas and the infrastructure. - Protection, restoration and exploitation of historical and cultural relics, scenic spots, promoting historical and cultural values, scenic landscapes. Preserving urban heritage landscape in Da Lat city. - Develop integrated management programs for river basins in the region; build environmental pollution control program due to waste from urban areas, industrial parks, and transportation; to build a regional environmental quality monitoring system, an early warning and warning system of climate change impacts such as warning of abnormal river rise and prolonged drought. - About the program: Implementing the program of developing the urban system according to the approved planning; The program on sedentarization and settlement, rearranging the population of landslides, deep-lying and remote areas, green urban villages, model new rural construction and new rural construction in the process of urbanization; Program to provide clean urban and rural water; Program to preserve Bidoup - Nui Ba National Park, Cat Tien National Park; building and upgrading waste treatment systems for regional centers and sub-regions; Program to develop regional-level transport framework; urban development projects. - Regarding urban development projects: projects to upgrade and expand new urban establishment; adjusting the general planning of Da Lat city and its vicinity; setting up and adjusting urban planning at different levels; renovate, upgrade, build new social and technical infrastructure, improve the living environment of existing cities. - Regarding social infrastructure: To invest in key projects of regional-level health, education and training, cultural and physical training, trade and service centers in Da Lat, Bao Loc and Duc Trong. , Luoyang, Don Duong. - Regarding trade in services, science and technology, tourism: prioritize investment in big projects in Da Lat, Bao Loc, Duc Trong, Lac Duong, Don Duong, Cat Tien, associated with the traffic hubs. important. - Development of industrial and agricultural and rural economy: Prioritize investment in Phu Binh industrial zone, Lam Dong high-tech agricultural zone, Tan Phu and Phu Hoi high-tech agricultural zones; high-tech production and husbandry areas. To develop large-scale specialized cultivation areas for vegetables, flowers, tea, coffee and mulberry. - Promulgating the Regulation on management according to the construction planning scheme of Lam Dong province till 2035 and the vision till 2050 approved. - Coordinate with the Ministry of Construction, publicize the construction planning project of Lam Dong province to 2035 and the vision to 2050 approved. - Prepare the urban development program, the dossier of the area for urban development and the subsequent urban planning to concretize the construction planning project of Lam Dong province to 2035 and vision to 2050. Construction elaborate and promulgate regulations on urban planning and architecture management. - Develop mechanisms and policies to implement urban development programs and projects prioritizing investment according to approved construction planning schemes. - The ministries and central branches concerned within their functions and powers shall have to coordinate with the Lam Dong provincial People's Committee in implementing the planning on construction of Lam Dong province till 2035 and the vision till the year 2050.